‘Tis the season of the turkey. 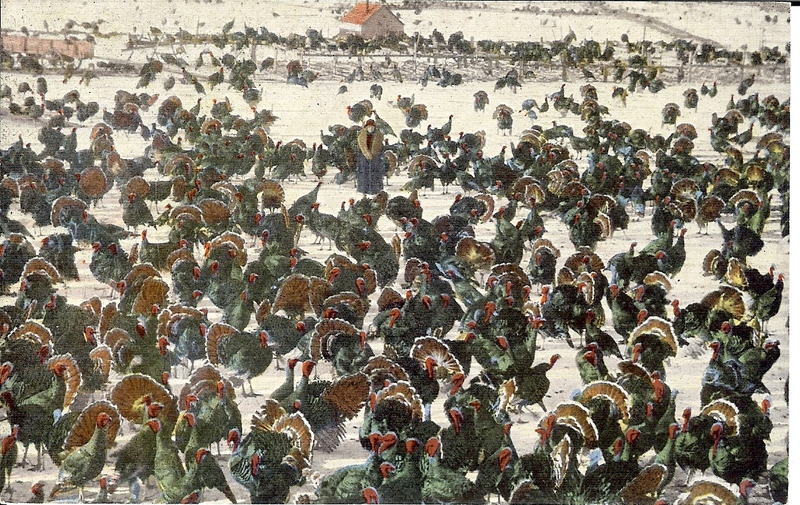 For several decades, Oregon was a noted producer of turkeys for the table, and a notable place for the developing of meatier birds. 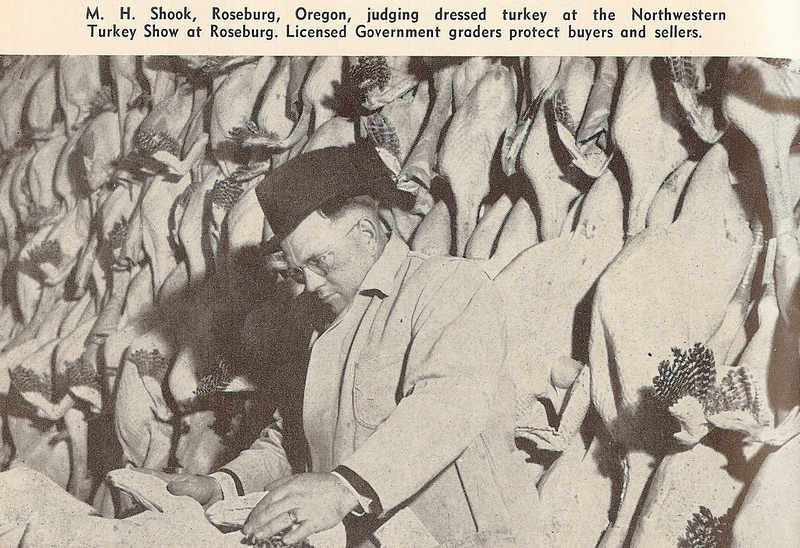 At one point 30% of the West Coast’s turkeys were grown in Oregon, and they were prized for their high quality. 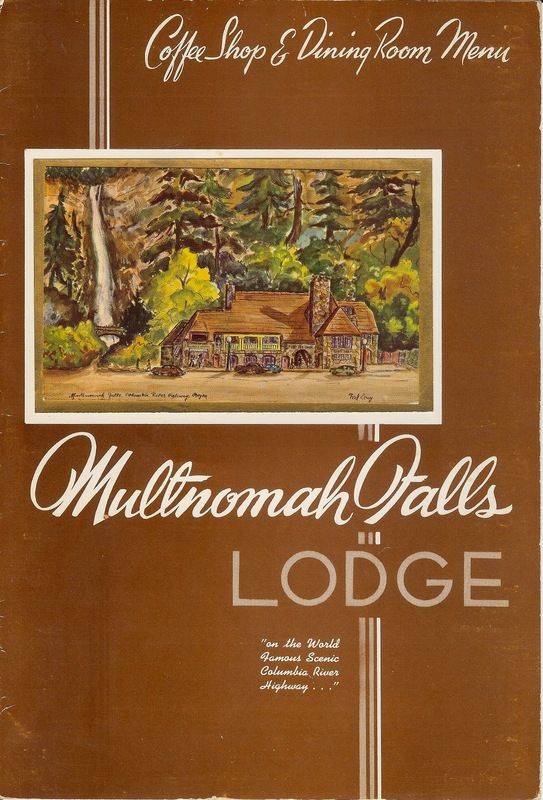 Large turkey farms and specialty turkey breeders were found in Yamhill County near Dayton and McMinnville (McMinnville began its Turkey Rama in 1938), in the Hood River Valley, and in Douglas County, where the first Northwest Turkey Show opened in Oakland in 1929. 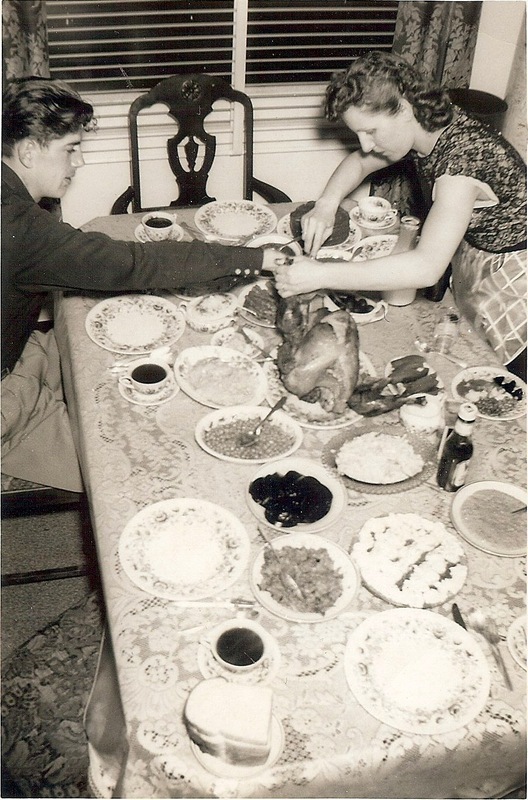 World War II, when beef was rationed, raised the consumption of turkey, and roast turkey was a popular restaurant menu item through the 1950s. 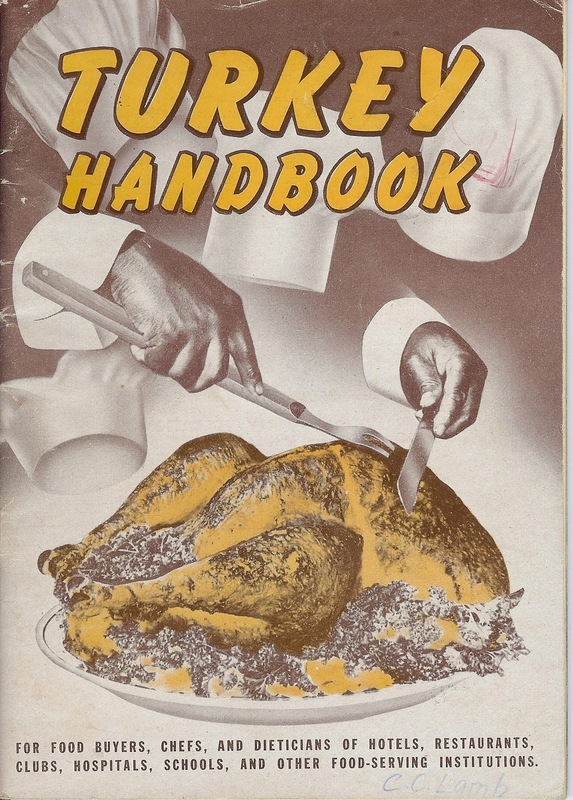 This 1947 Turkey Handbook from the National Turkey Federation helped promote the institutional use of turkeys. It included recipes to make good use of all parts of the bird; a 24-pound turkey could yield 20 cooked portions of 6 ounces each. But turkeys have changed in the past few decades. Turkey raising in Oregon has nearly disappeared. Turkey meat has become something of a protein filler, appearing as turkey pastrami, in turkey chili, as sliced bits in salads and sausages, but the grand Oregon tom roast turkey has disappeared from the family dining table and the restaurant menu — except at Thanksgiving and Christmas. I remember really clearly driving by turkey farms on the way to the beach when I was a kid. Took me a long time to figure out that they were turkeys….rows of low, dark sheds.